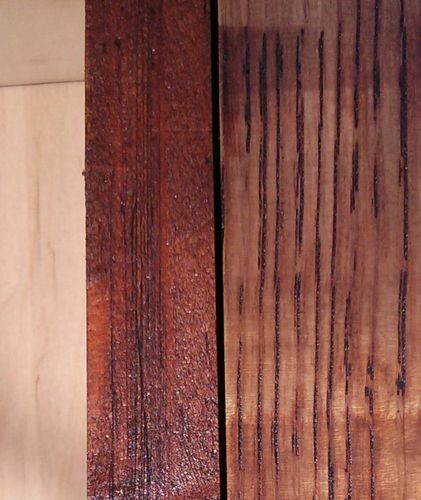 Somehow the same schedule gave dark reddish brown on pine and only golden brown without any hint of red on the oak. How is this possible? I’ve stained a new oak sample along with this pine box with the same schedule except that the tung oil step was omitted—same golden brown with no red undertones. 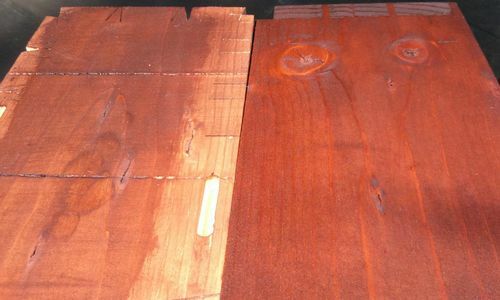 To make it even more confusing, a pine sample board, which I test stained after sanding to different final grits, doesn’t show as much red in it (left—test pine, right—pine box). 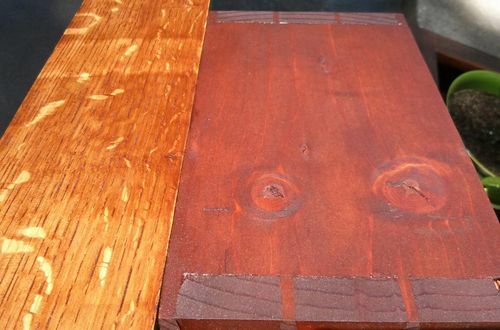 Does it have anything to do with the ability of the woods to retain the gel stain? 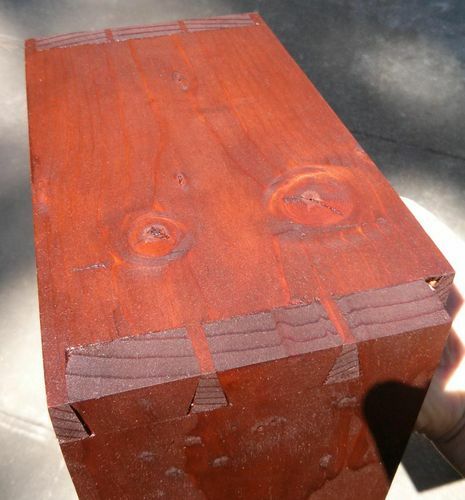 The mahogany gel stain has red tones in it, but it doesn’t stay on my oak samples.